Mahindra once was at the top of its game in the UV space but lost some ground on the way. But clearly, the company isn't sitting down twiddling its thumbs. We drive the 2018 Mahindra XUV500 to see what has changed. Ever since its launch, in India, in 2011, the XUV500 has had one facelift and this one's the second. Mahindra has been tirelessly working on the XUV500 for a long time. With the SUV segment expanding, there's room for players like Mahindra XUV500, which once at the top of its game, has now lost some ground. Therefore, it was time for Mahindra to adapt and survive. This phenomenon is similar to something we see in the animal kingdom. An octopus can change its colour and even form; a stick insect is a master of camouflage, so you can easily mistake it for a twig and, of course, who can forget the gecko family. The facelift of the Mahindra XUV500 is part of that very strategy to adapt and change, in order to stay ahead in the race for survival. 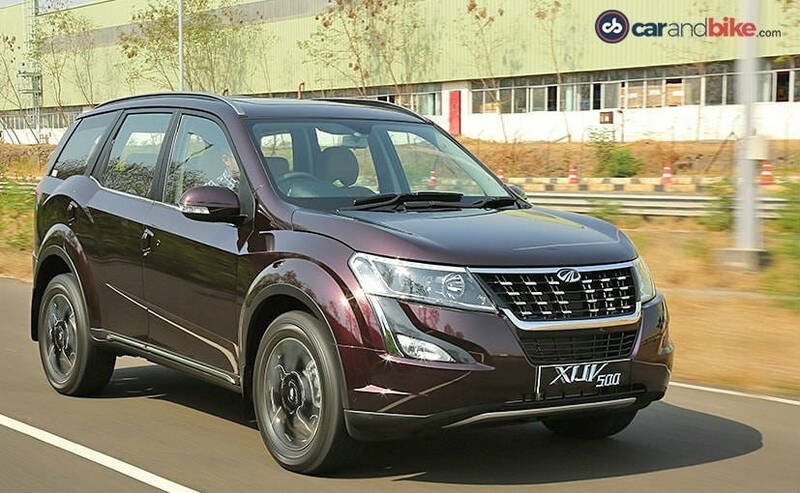 This is not the first time the Mahindra XUV500 has received a facelift. Ever since its launch, in India, in 2011, the Mahindra XUV500 has had one facelift and this one's the second. We think that it's likely to be the last time it receives any form of update, before we see a new generation of the model. 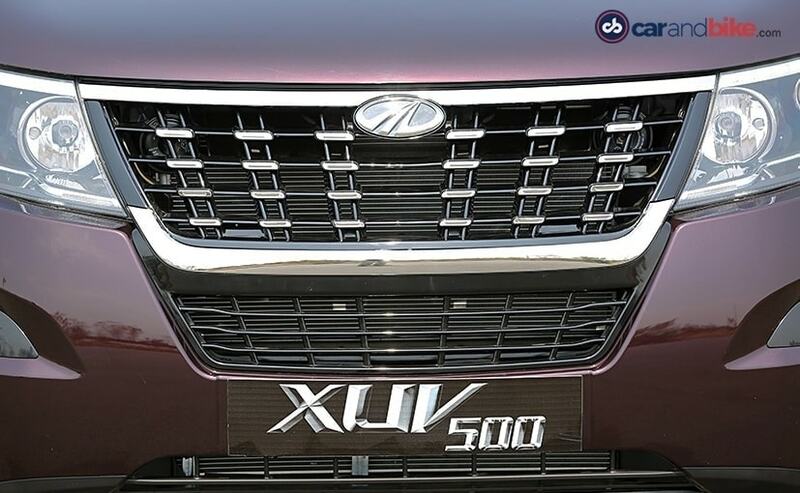 The facelift of the Mahindra XUV500 is a bit more thorough, this time around. The big transformation comes from the new front grille, which looks different from any of the Mahindra cars that we've seen in the past. There's a thick chrome surround and studded detailing, which looks good on the car, but that, of course, is a subjective matter. There are LED DRL's too and the headlamps have been re-profiled. In fact, there's a bit of chrome detailing on the car, which really makes it stand out. The front bumper too receives an update and new fog lamp housings as well. There's also a dual-tone faux skid plate, which makes its way onto the car, but will only be available on the top-end variant; as are the chrome elements on the door sills. The top-spec model also gets 18-inch diamond cut alloy wheels (the outgoing model had 17-inch wheels), which enhance the stance of the car and give it a bolder look. The changes do not end there because, if you remember, we said that the facelift was a comprehensive update. The rear sees a big change and this is in the form of a new tail gate and revised tail lamp units. The vertical tail lamps have now been replaced by a smaller unit. 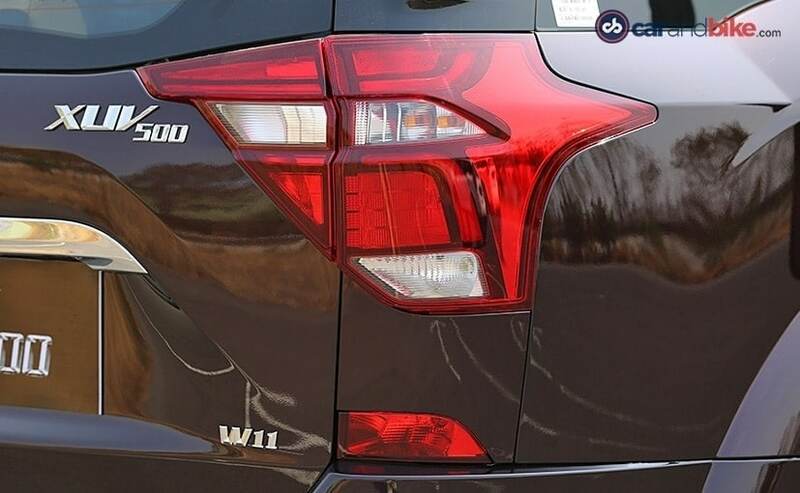 The tail lamps are now triangular units and are placed horizontally, making the rear look sleeker and that's a big plus on the XUV 500 facelift. The restyled tailgate sees the use of chrome accents, above the license plate enclosure. The rear spoiler too is more pronounced than before. While that takes care of the exterior, the cabin sees its bit of embellishments. 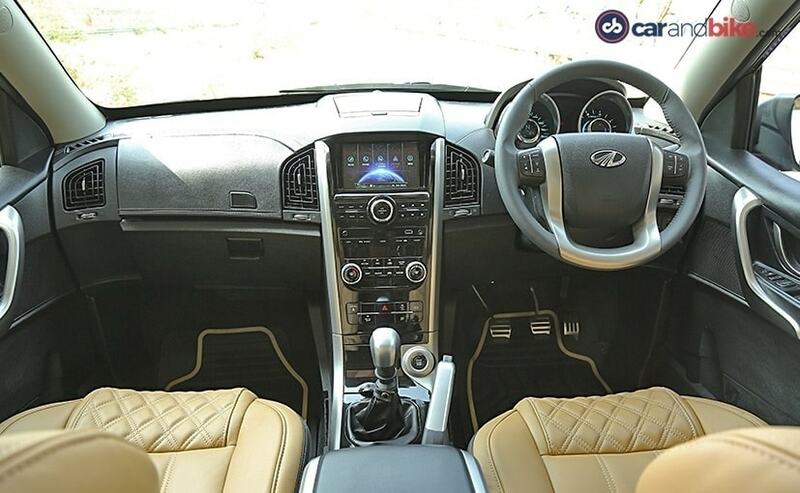 The XUV500 comes with dual tone interiors and the top-spec model, which I got to drive, came with tan coloured leather seats, which further enhance the look and feel of the XUV500, making it more premium than before. The centre console too gets a piano black treatment, with chrome inserts and it all matches the opulence that the SUV now oozes. Another interesting touch is the use of faux-leather, on the dashboard and the doors, giving it a soft touch feel and adding to the enhancements made to the car. And then, there are other features on offer. 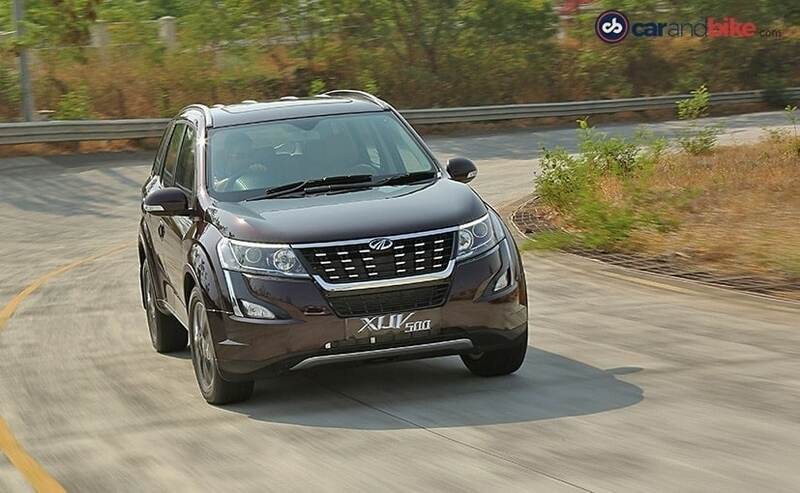 The XUV500 facelift doesn't see many changes, in terms of features, when compared to the outgoing model. 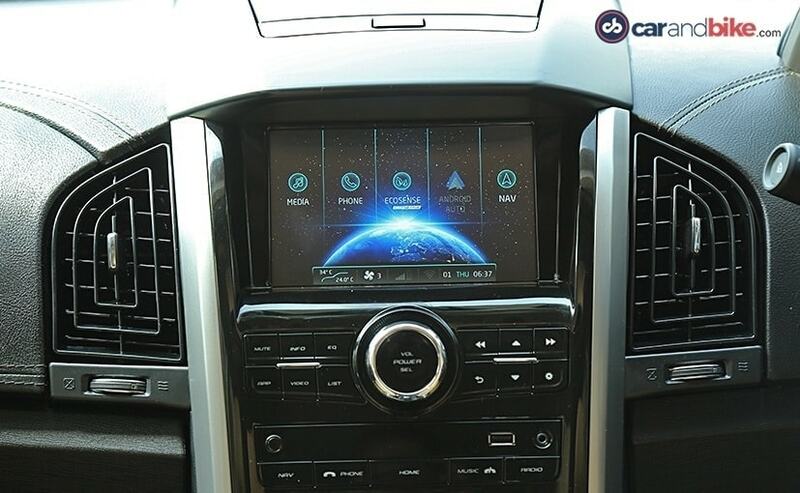 The 7-inch touchscreen infotainment system is still very much a part of the car, with USB, Bluetooth connectivity and of course there's Android Auto too. No Apple CarPlay yet on the car and we know that this feature will be coming to the company's cars soon, probably by 2019. There's Ecosense too as also connected apps. What Mahindra has managed to do is get a Smart Watch connectivity as well, in this car; and that means, you can access all the information about your car, on your watch, with the help of an app (of course the new-gen folks would not want this explained). But, there's a limitation on the brands that are compatible with the app and hence we couldn't really dive deeper into what it feels like. The cabin however, is not all new, as all the buttons on the centre console, steering wheel and the rest of the gizmos have been carried forward, so everything is familiar. There's a sunroof as well and Mahindra will make available 6 airbags and ABS with EBD on the car. Where Mahindra managed to surprise us is in the engine department. 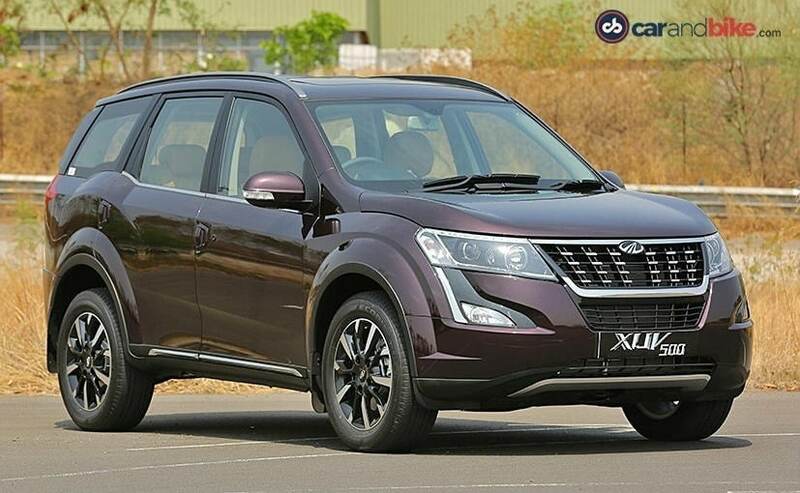 The XUV500 facelift will be made available in the 2.2-litre diesel and a 2.2-litre petrol option and yes there are both a manual and an automatic on offer. We'll get a chance to drive the automatic variant soon, but we got our hands on the diesel manual. 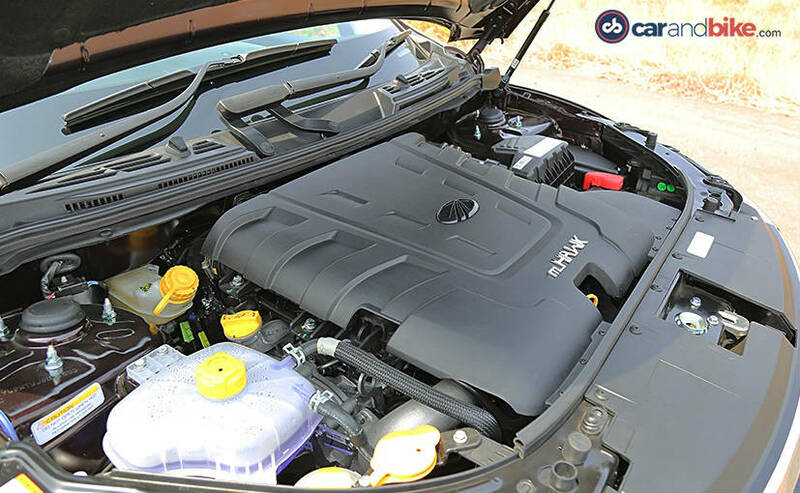 While the displacement and the mHawk engines continue to be part of the XUV500, now, it's got more power than before. The XUV500 will no longer be available in the 140 horses churning avatar; in fact, the engine has been uprated to produce 153 bhp. What's also new is that the engine gets a new sixth-gen turbocharger, along with a new 'eVGT' technology that works according to the ECU signals and acceleration. 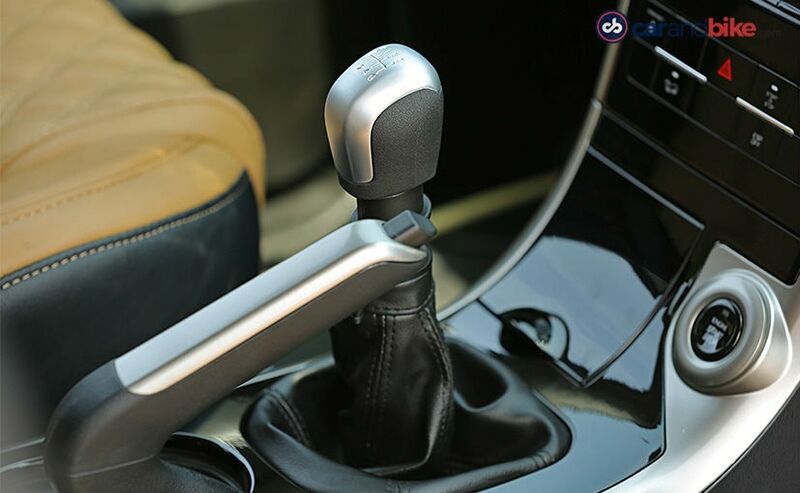 The 360 Nm of torque kicks in as early as 1800 rpm making the XUV500 an extremely fun thing to drive. It's eager and raring to go and that's what you want an SUV to be like. The transmission, however, is not silky smooth and that's a bit of a disappointment. It's clunky and there are times, when you have to try hard to slot it in. The engine reacts swiftly to your inputs though and that keeps a smile on your face. There's a bit of roll too and the facelift doesn't drive any differently than the outgoing model. We've driven it on a test track, with a smooth tarmac and concrete road, so how it behaves off the beaten track remains to be seen, but the ride is a comfortable one. Other things remain unchanged, like the understeer in the bends and the vertical movement from the suspension, which were always lined up in the negative table of the XUV500. Mahindra is offering some new colours on the XUV500 - Crimson Red and Mystic copper, both of which we did not get to see; but the Crimson Red looked promising on the presentation board. Prices for the XUV500 start at ₹ 12.32 lakh going all the way up to ₹ 17.88 lakh. Prices have gone down as can be expected, but still they remain reasonably competitive. And Mahindra will hope the refresh brings its customer base back into M&M showrooms and more importantly, back to driving the once popular XUV500.